We have set up a short survey to find out what real people think about the opportunities, advantages and potential pitfalls that exist around self build. 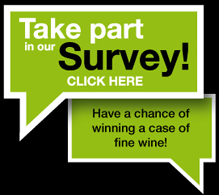 By undertaking this survey, you can help improve the way the self build industry works in the UK – just leave your details at the end of the survey and there’s a chance to win one of our regular prizes, a case of fine wine to boot! Once you’ve finished our survey, please pass on details of our website survey to other likeminded friends and contacts….the more feedback we get, the more influential the results.